Solomon was a Sanders delegate from California to the Democratic National Convention and the nationwide coordinator of the Bernie Delegates Network. Solomon added: “If Clinton weren’t determined to boost the corporate wing of the Democratic Party for the future, her new book’s jabs at Bernie would be gratuitous and bereft of tactical logic. But those jabs are not mainly about the past. 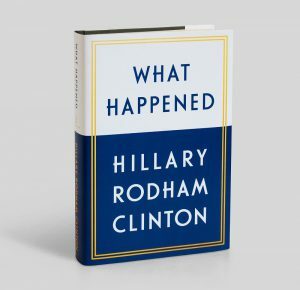 Looking ahead while recounting her version of what happened last year, Clinton is attempting to scapegoat not only Bernie Sanders but also his activist base. She’s trying to discredit the progressive wing that’s now ascendant in the party from the grassroots. “By a thin margin, six months ago Clinton’s backers were able to shoehorn the uninspiring former Labor Secretary Tom Perez into becoming chair of the Democratic National Committee. But the DNC is close to floundering under the continuation of the same kind of leadership that led to the November 2016 disaster.